When he founded the SMA in 1856, Bishop de Brésillac wanted to establish a “Society of clergy and lay people”, which would bring the Good news of the Gospel to Africa, reaching out to the most abandoned and responding to the signs of the times. Since the foundation of the Irish Province in 1912, lay people have supported the SMAs in this mission. 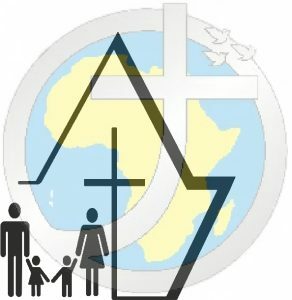 They have supported and encouraged the mission to Africa through prayer, financial support, membership of the Family Vocations Crusade (FVC), in promotion of Mission Association Cards (MAC) and as collectors of mission boxes. Within the last 20 years, groups such as the Friends of Africa (FOA) and the SMA Lay Association (SMALA) have emerged as new forms of involvement with the SMA mission, reinforcing the importance of the lay contribution to that mission and offering a deeper engagement with the Society. Since 2013, the commitment to that vision has been the basis for an increased focus on the role of lay people in supporting and participating in the SMA mission, seeking the development of a dynamic missionary community where lay people take their place as partners in mission. This desire for greater participation by lay people in the mission and work of SMA is based on recognition of the dignity of each person, their right to flourish and fulfil their potential, and their right by virtue of Baptism to actively participate in the mission of Christ. As well as encouraging people to live out their baptismal calling, SMA Ireland opens a door of opportunity for the Irish Province to experience a fuller model of Church, and invites ownership, by all baptised persons, of the charism and mission of the SMA.